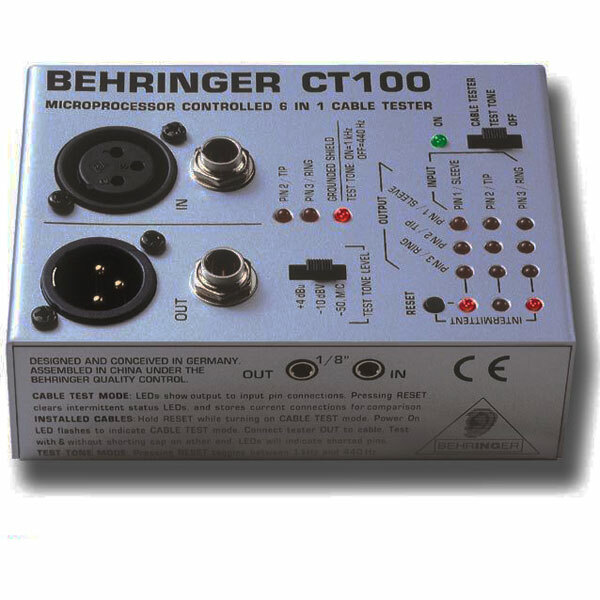 The intelligent, CPU-controlled CT100 accepts virtually any connector type: XLR, mono and TRS phone ( 1 /4 ", 1 /8 ", TT), RCA and MIDI. It shows which input pin is connected to which output pin. Separate LED’s indicate proper shield connection and phantom power presence. The CT100 also offers an installed cable test mode and a continuity check plus a test tone generator.